This is one of the illustrations I made after going on a hike in the jungle with my family this summer. We were in the jungles of Espírito Santo state in southeast Brazil. The jungles in Espírito Santo do not look like this illustration, but the hike inspired me to make this drawing. 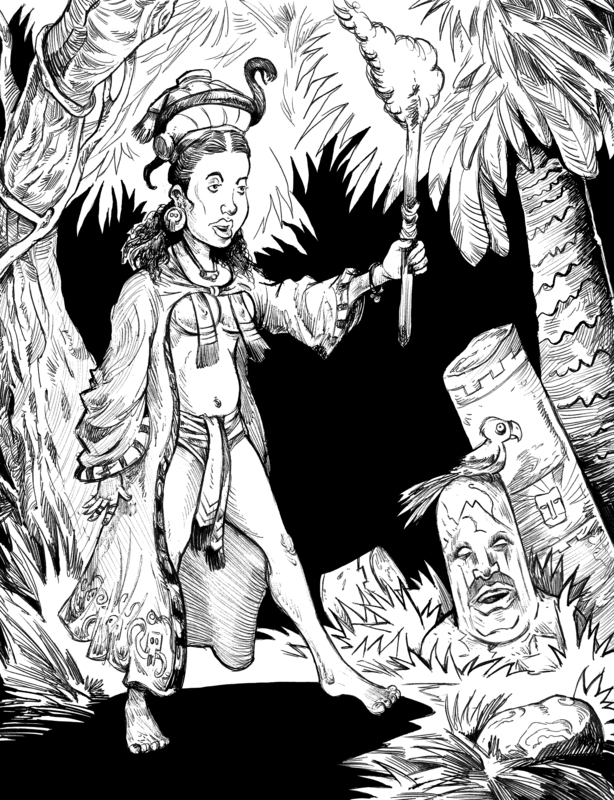 This is my drawing of a priestess in some dark dangerous jungle. She is caring a torch to light her way. I was influenced by the countless episodes of, “Lost” I watched. They sure enjoyed caring torches around on that show. I am going to post some scary and or spook drawing for the rest of October. Halloween is just around the corner.